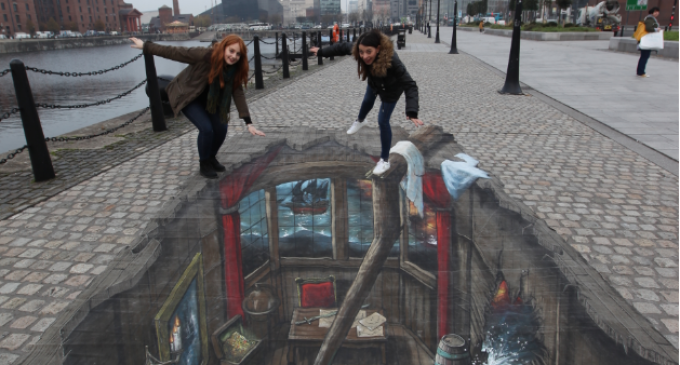 To mark the arrival of Escape Hunt Liverpool’s brand-new five star escape room adventure, Blackbeard’s Treasure, a spectacular 3D interpretation of this mesmerising game has been created in the city centre today. As immersive as the escape room game itself, the anamorphic painting featured a unique portrait of Liverpool’s very own John Lennon, as fans have never seen before. 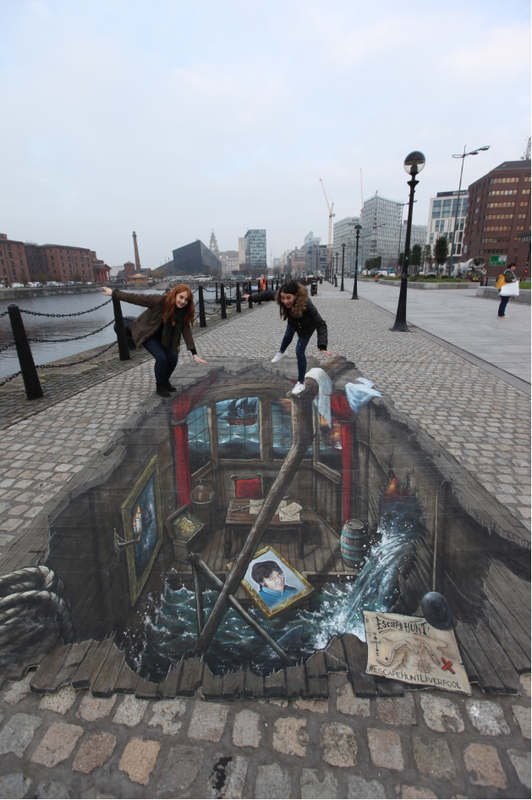 The unique street art, created by world-renowned street art company, 3D Joe & Max, captivated passers-by making them want to jump right into the artwork. This exhilarating game at Escape Hunt Liverpool, which opens today at the Royal Albert Dock, transports players back in time, to the galleon of one of the most notorious pirates in history, the terrifying Captain Blackbeard. With the ship shot to pieces and sinking fast, players and their scurvy shipmates go in search of Blackbeard’s fabled loot but find themselves trapped aboard. With just 60 minutes before they go down with the ship, teams have to work together and solve a series of mind-bending puzzles to make their escape with the treasure and their lives. Opening a week later, the other game available is The Last Vikings which takes players into a world of gods and monsters where they will have to work as a team to summon Norse gods for protection, to save their Viking village from the Ice Giants. Blackbeard’s Treasure is open from today, costing £25 per person for groups of two to three, and £20 per person for groups of four to six. Book now at www.escapehunt.com/Liverpool.